New York based hard rock band Alter Bridge are back on tour after their 2013 album release 'Fortress'. They always said that more dates would be added, and due to huge demands they have finally delivered on their promise! Their live performance which arrives at the The Wiltern on Sunday 26th October, will feature for the album including: Cry of Achilles, The Uninvited, Cry A River, Bleed It Dry and more! Mosh your night away with the these awesome hard rockers, tickets up now! 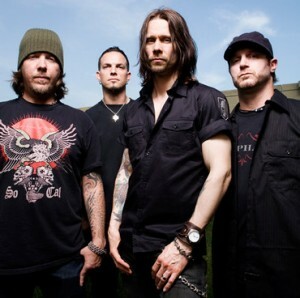 Alter Bridge is an American rock band from Orlando, Florida, formed in 2004. The band consists of lead vocalist and guitarist Myles Kennedy, lead guitarist and backing vocalist Mark Tremonti, bassist Brian Marshall, and drummer Scott Phillips. Since the band's formation, there have been no line-up changes. Known for their acclaimed live shows, the band plays a melodic style of post-grunge influenced heavy metal music, which has grown more progressive and experimental over the years.